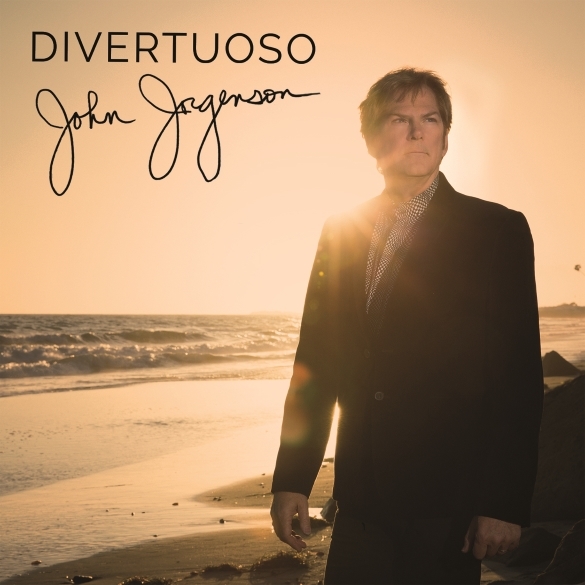 Los Angeles – Much to the excitement of guitar players and musicians worldwide, John Jorgenson will release Divertuoso, a limited edition, 3-CD box set of three separate, all-new full-length albums featuring three of Jorgenson’s band configurations (gypsy jazz, bluegrass and electric) via Cleopatra Records on October 16, 2015. Jorgenson’s career has been wide-ranging, including playing lead guitar in Elton John’s band for seven years; being a co-founder of both the groundbreaking The Hellecasters and The Desert Rose Band; being widely known as the U.S. Ambassador of Gypsy Jazz; and portraying Django Reinhardt in the Hollywood feature film Head In The Clouds. Jorgenson has recorded or toured with the likes of Bonnie Raitt, Luciano Pavarotti, Bob Dylan, Roy Orbison, The Byrds, Johnny Cash, Bob Seger, Willie Nelson and many others. Jorgenson is a GRAMMY Award-winner and has won many other awards, including being three-time Academy of Country Music (ACM) Guitarist of the Year. Totaling 40 tracks in all, Divertuoso showcases Jorgenson’s incredible virtuosity as both a musician and songwriter in a variety of styles. Considered a master of the electric and acoustic guitar, and many other instruments, Jorgenson plays 12 instruments on the box set (acoustic guitar, electric guitar, mandolin, bouzouki, clarinet, mandocello, soprano sax, bass, hammond organ, bassoon, keyboards, percussion), as well as vocals, and he composed a majority of the material. This release is a singular accomplishment not only for Jorgenson, but also for the guitar community as a whole. His mastery of these three disparate styles (gypsy jazz, bluegrass and rock) is on full display throughout these recordings. The 15-track From The Crow’s Nest by bluegrass supergroup J2B2 (John Jorgenson Bluegrass Band featuring Herb Pedersen, Jon Randall & Mark Fain) was recorded at Sheryl Crow’s home barn studio in Nashville over the course of three days. Pedersen (The Dillards and Old And In The Way) is a legendary vocal arranger and musician who also co-founded The Desert Rose Band with Jorgenson. Hit songwriter Randall, a former member of Emmylou Harris’ Nash Ramblers, has toured with Earl Scruggs and Sam Bush. Fain is the long-time bassist for Ricky Skaggs & Kentucky Thunder. The record includes lead and harmony vocals by Jorgenson, Randall and Pedersen, and when the three sing together, a magical 60’s/70’s folk air transforms the typical bluegrass “high lonesome harmonies” into an entirely different dimension. In addition to his vocal work, Jorgenson plays mandolin and acoustic guitar. Songwriters contributing to the record include Jorgenson, Pedersen, Randall (co-writer of the CMA Song of the Year, “Whiskey Lullaby,” with Bill Anderson, included in this set), Rodney Crowell, Guy Clark, JD Souther, Mitchell Jayne and Rodney Dillard (members of The Dillards) and Rock and Roll Hall of Fame Member Chris Hillman (The Byrds, The Flying Burrito Brothers).